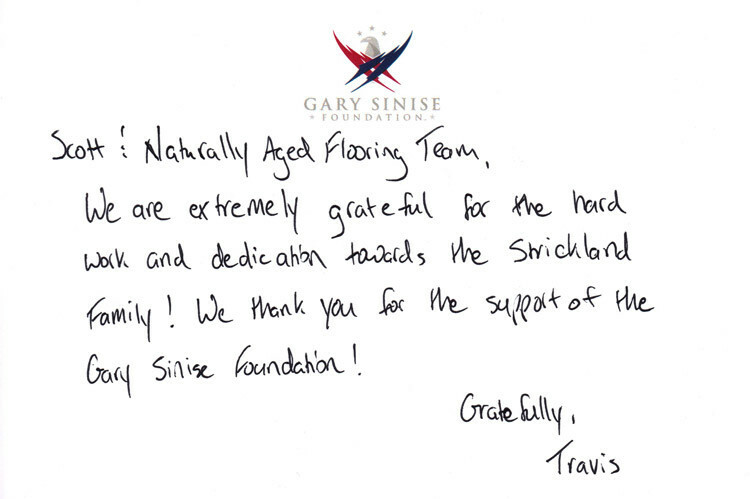 Naturally Aged Flooring, in association with The National Wood Flooring Association (NWFA) and Ambassador Floor Company, is proud to have donated flooring in support of the Gary Sinise Foundation R.I.S.E. program. 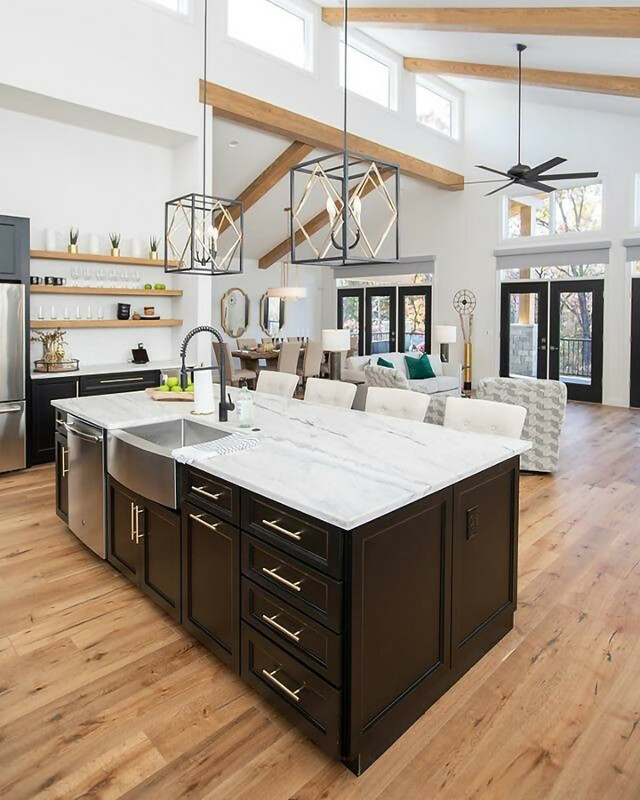 ST. LOUIS, Missouri (November 12, 2018) - The National Wood Flooring Association (NWFA) has provided flooring for its 34th home in support of the Gary Sinise Foundation R.I.S.E. program (Restoring Independence Supporting Empowerment). The R.I.S.E. 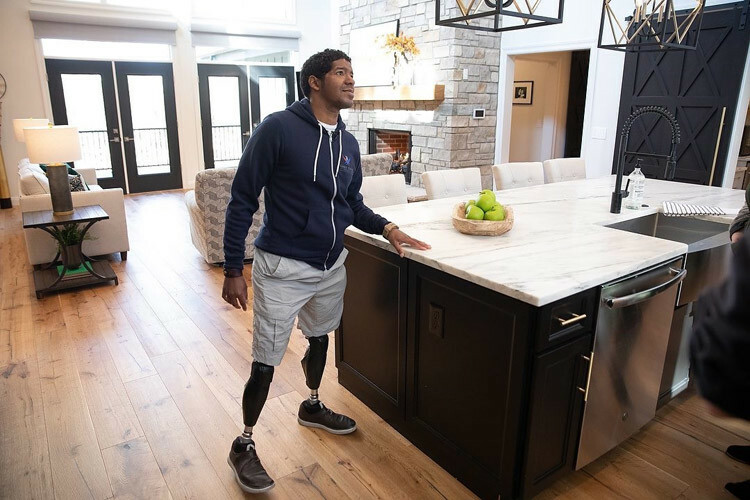 program builds custom, specially adapted smart homes for severely wounded veterans and first responders. The home dedication for United States Army Sergeant Legrand Strickland (Ret.) took place on November 9, in Wildwood, Missouri. Flooring for the project was donated by NWFA members Ambassador Floor Company, and Naturally Aged Flooring. Sergeant Strickland joined the Army two years out of high school. After his first enlistment, he entered the National Guard as an Infantry Rifleman and attended college, receiving a degree in graphic design. Upon reenlistment, Sgt. Strickland was part of the 82nd Airborne Division stationed in Afghanistan. While returning from a mission on February 2, 2010, Sgt. Strickland's convoy was hit by an improvised explosive device (IED). He watched as his Commander's vehicle was struck in front of him. His commander survived and joined Sgt. Strickland in his vehicle, which was then also hit. Both his Commander and driver were casualties of the second hit. Sgt. Strickland suffered the loss of both legs above the knee, as well as traumatic brain injury. "Sgt. Strickland has faced tremendous obstacles during his ongoing recovery," says NWFA President and CEO, Michael Martin, "yet you'll never see him without a smile. Despite the challenges his injuries present, he faces each day with an attitude of gratefulness that should be an example for us all. It was a real honor to attend his dedication ceremony, and since his home is right around the corner from NWFA's office, we look forward to becoming a part of his family's local support system. We're honored to partner with Ambassador and Naturally Aged Flooring to provide flooring for his new home." In addition to the 34 homes already completed, NWFA currently is working with its members to source wood flooring for 16 additional R.I.S.E. homes in various stages of planning and construction. Currently, 57 NWFA member companies have donated product, logistics, and installation services in locations throughout the United States, with a total value of more than $4 million. A list of all NWFA R.I.S.E. participating companies can be found at http://www.nwfa.org/giving-back.aspx. By the end of this year, 70 specially adapted smart homes will be completed or underway through the Gary Sinise Foundation R.I.S.E. program. To learn more about the program, and how you and/or your company can get involved, contact the NWFA at 800.422.4556, or e-mail them at [email protected].